CTE teachers like you need to teach their students the skills to succeed. You’re an expert in your field, even if you’re not a trained teacher. With a bit of practice, planning, teaching, and grading can all become second nature. But there are some skills that may not be on your radar. You want to do everything you can to get your students off on the right foot once they’re out of the classroom. Today, that requires teaching digital citizenship! But why would someone need to learn about digital citizenship in a classroom when they probably encounter it every day? Here we’ll explore three big reasons why digital citizenship lessons belong in your career and technical education (CTE) curriculum… and we’ll share a few places you can find lessons to get started. While most students in CTE courses have developed a moral compass from their family, community, or faith, they may not always know how to apply that to digital citizenry. Teaching good digital citizenship to your students helps them connect their everyday actions with their choices in a digital society. It’s important to understand unethical behavior and its impact for all of us. But this goes double for students — especially younger students — , who use technology for research, class work, and entertainment every day. This includes recognizing copyrights. When using a physical book for research, students know that they must cite anything used. But what about a digital resource? By teaching digital citizenship, you’ll show students how to recognize, quote, and cite online resources properly. That ensures students ethically use other people’s work instead of blindly cherry-picking ideas with no paper trail to back up their ideas. In today’s job market, employers want well-rounded employees. Part of being a well-rounded employee is the ability to use technology efficiently and appropriately. Everyone from a desk clerk to a certified health care professional uses technology on a daily basis. Adding digital citizenship lesson plans to your existing CTE curriculum ensures students learn how to use digital tools before they ever step foot in the workplace. But digital citizenship extends beyond digital tools. It also includes smart and ethical ways to communicate with digital media. The phrase “digital media” makes most people think about social media. But your students will communicate digitally while working as well. Knowing proper and improper use of digital communication in the workplace can make or break a person’s career, especially in careers that use privileged information (like healthcare). That’s why it’s important to create a connection between your students’ careers and digital citizenship. It is an essential skill for the workplace — no matter what career path they take! We all make mistakes from time to time. But when you know the rules of the game, you play by them. The same goes for digital citizenship. When students know what appropriate digital behavior looks like, they’re more likely to adhere to those expectations. There is always a rebel or two — but most students will do what’s right. 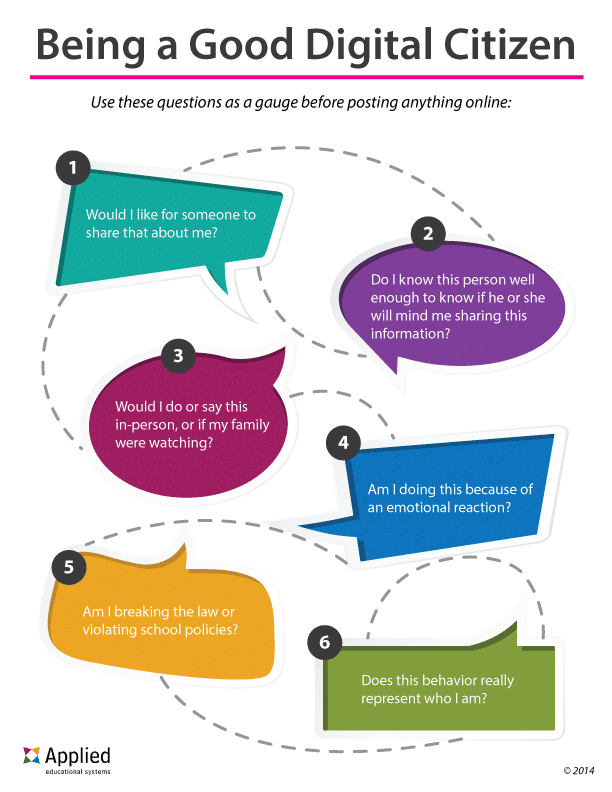 Teaching digital citizenship helps students determine what is right, both personally and professionally. Talking about topics like cyberbullying is the first step in preventing them. Cyberbullying affects all students, no matter what they study. Discussing these issues and their consequences shows students the big picture and makes your students think twice when they encounter them. So we’ve established that digital citizenship is important to teach. But where do you find the lessons to teach these valuable ideas? You can find lots of resources online for digital citizenship lessons. We think these three are the best available! 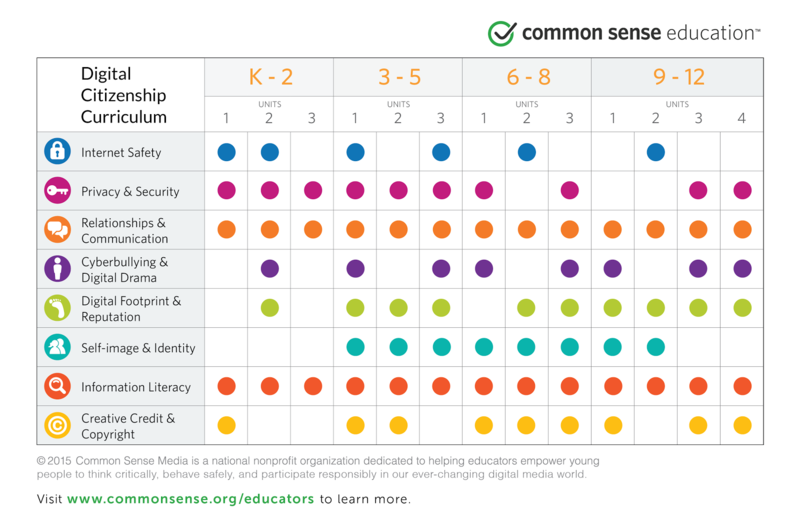 Common Sense Education has a large database of curriculum for teaching digital citizenship. The curriculum includes 7 topics with units for students of any age. The curriculum contains lesson plans, videos, interactive content for students, assessments, and other content to help you as a teacher. With all of that in one place, the website can be surprisingly overwhelming. Luckily they offer a one-hour tutorial to get you acquainted with their resources. InCtrl is another respected digital citizenship resource. 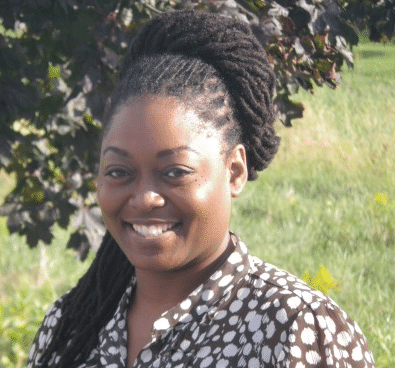 While not as widely known as Common Sense Education, InCtrl has a number of lessons and activities to help teachers with digital citizenship. InCtrl includes lesson plans and videos for both teachers and students. They also lay out lesson plans so you can see learning objectives, activities, and teacher tips. The lesson plans also show national educational standards that they meet so you can comply with your school’s standards. Unlike the robust nature of Common Sense Education’s curriculum database, InCtrl is much more focused. All lessons are created for students in grades 4-8 with straightforward instruction for the teacher. At AES, we have our own Digital Citizenship module that includes seven lessons and four activities on how your students can be good digital citizens. Along with the lessons, our module includes lesson plans, PowerPoint presentations, student worksheets, and more. 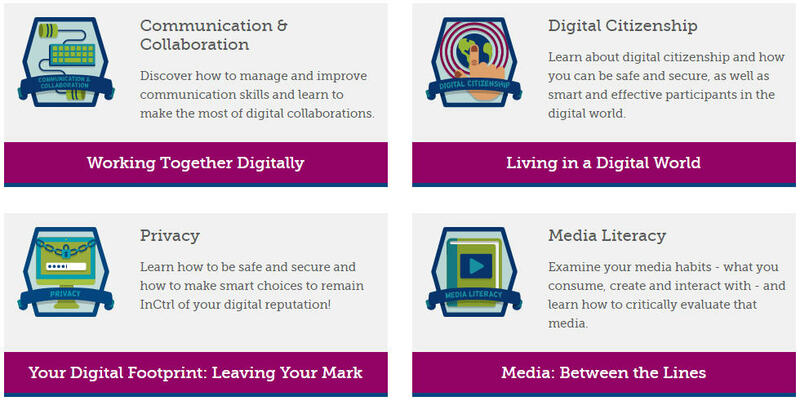 All in all, the module takes about eight curriculum hours to hit all of the key points of digital citizenship. Along with Digital Citizenship, Business&ITCenter21 includes over 80 modules for computer applications, career readiness, and business topics. With easy-to-use lessons, assessments, automated grading, and other features, we’ve made teachers’ jobs easier while helping their students learn. Hundreds of teachers have seen success with our curriculum. Sign up for a free trial today to join these teachers and help your students succeed!